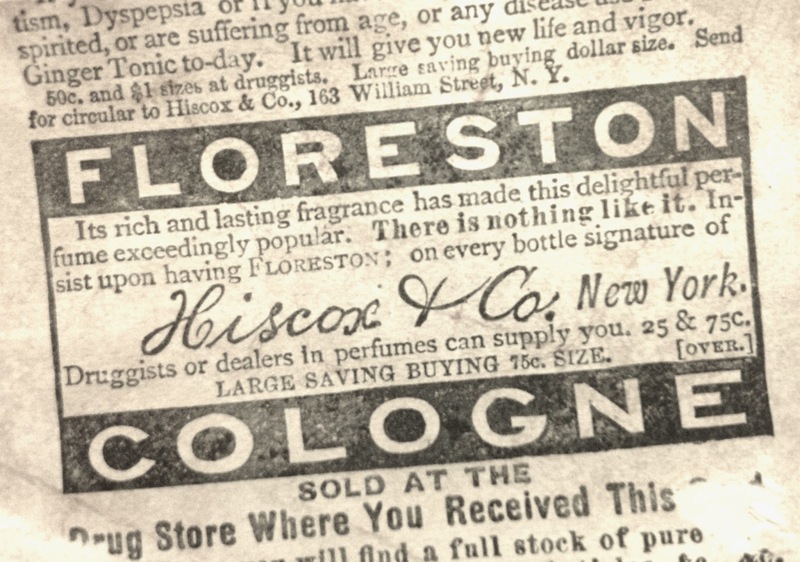 This three-inch-wide scrap of paper from the late 19th century features an advertisement for Floreston cologne ("There is nothing like it"), which was a product of Hiscox & Co. of New York. 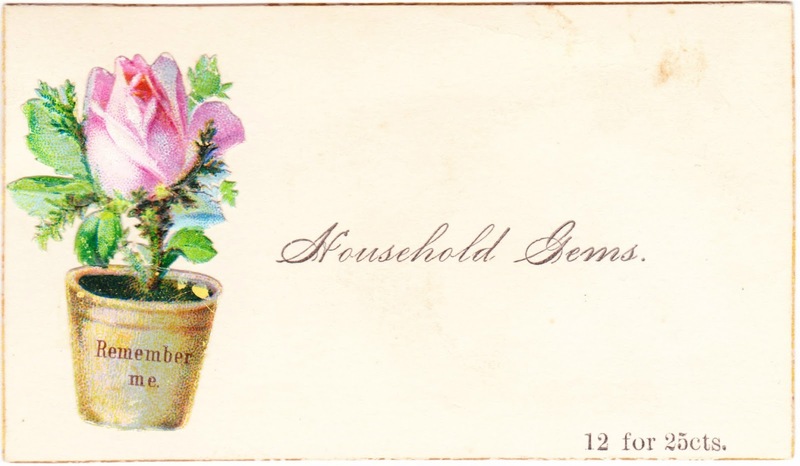 Based upon the partial image on the other side of this piece of paper, I was able to determine that the uncut, original Victorian trade card touted the benefits of Parker's Tonic. You can see what the image looked like on RubyLane.com. OK folks, here's the latest collection of Great Things To Read On the Internet, as curated by me over the past five weeks or so. Now, you cannot possibly say that you have nothing to read this weekend. (Or maybe you can bookmark these for when you get snowed in some day this upcoming winter.) 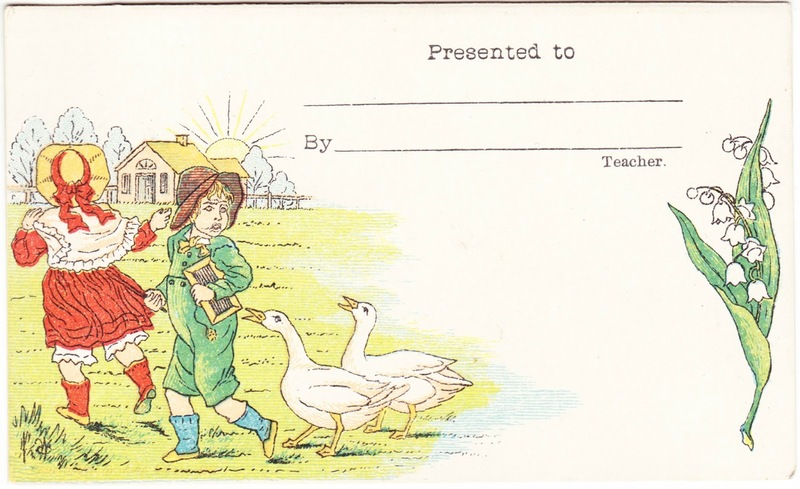 Also, enjoy these two pieces of utterly random vintage ephemera. Flickering Lamps: "The mysterious and majestic stone circle at Lochbuie"
1. This excerpt from that article is so great I want to share it here. I also wouldn't mind moving to Iceland. "A copy of the bókatíðindi, which lists approximately 90% of the books published in Iceland each year, is mailed to every household in the country, free of charge. While in most countries the presents under the Christmas tree come in all shapes and sizes, Loftsdóttir jokes that in Iceland one finds a row of neatly wrapped books. “The book is still the most popular Christmas present in Iceland,” she says. There’s even a name for the phenomenon: the “jólabókaflóð,” which means Christmas book flood." 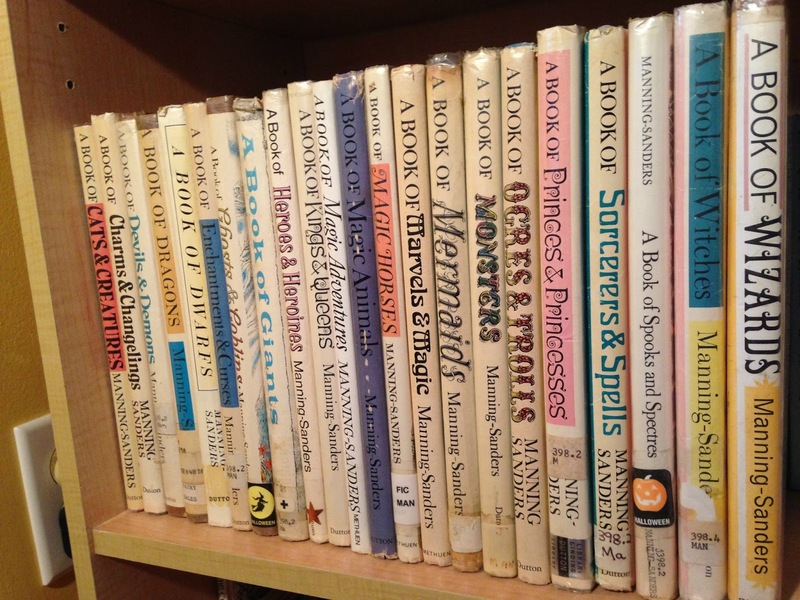 Did you read any of Ruth Manning-Sanders' folk- and fairy-tale collections when you were growing up? "This is the point where I think you and I are brothers by another mother. Ruth Manning-Sanders is one those writers that were often an invisible part of childhood that you rediscover as an adult and take real joy in. She was an incredible woman — poet, circus elephant rider, folklorist — and that her output is now criminally neglected is a painful thing to see. While I often find myself disagreeing strongly with some of her views on fairy tales and folklore, I am always intoxicated by tellings of tales. There is connective grace to the wonder in the story that is always a delight. "Every year my wife and I go to Penzance for the week of St. John's Eve — bone horses, bonfires, misrule — and let ourselves become possessed by the surrounding Penwith Landscape. It's the town that Manning-Sanders died in and there are traces of her and the way folklore lives in that place. 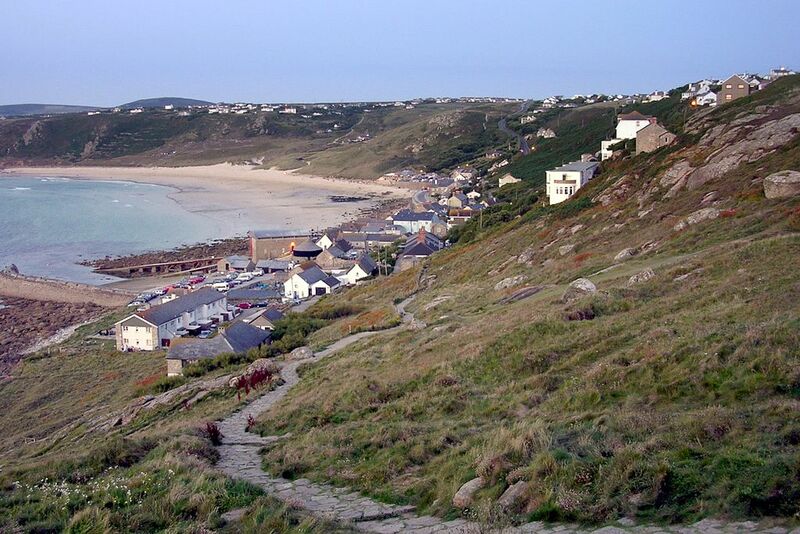 However, where you can really connect to her and her work is Sennen Cove — one of the most glorious beaches in Cornwall and her home for several decades. I remember it from my childhood as a place that claims you with its beauty, works its way into your memory, your soul. In many ways Sennen Cove has become my metaphor for the work of Manning-Sanders — it works into your imagination with its beauty and power. "To me, her animating spirit is still rolling in a horse-drawn caravan as Count Rosaire's Circus crosses the border into Hookland, it is still in Sennen Cove, in Penzance, in the Cornish landscape. In my imagination, in those places and in every story about pixies you hear while walking in the Penwith Hundred, her work is still alive. She made the landscape — internal and external — richer with her words. In the end, that's about the best a writer can ever achieve." "Sennen cove at dusk" by Jim Champion - Own work. Licensed under CC BY-SA 3.0 via Commons. One of the neat things about browsing through old postcards is that you can discover places that you had never heard of — even in your own state. And, before you know it, whoosh, you're down the rabbit hole of Googling things and adding destinations to your wish list of future travels. 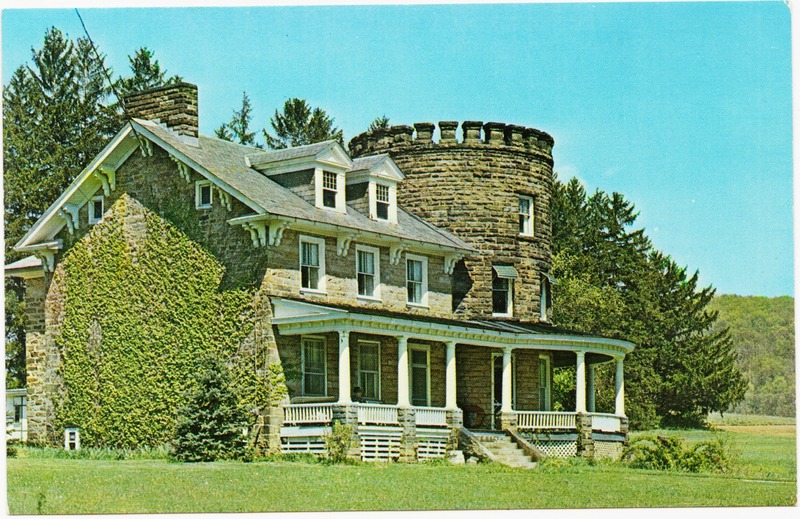 First up is this undated (looks like 1960s) postcard of the McCormick Stone House, near tiny Smicksburg1 in Indiana County, Pennsylvania. This private residence is now more commonly called the John B. McCormick House, and it was entered into the National Register of Historic Places in 1974. Here's the text from the back of the postcard, which was published by Modern-Ad of Butler, Pa.
"McCORMICK STONE HOUSE, Smicksburg, Pa. off Rt. 210; home of inventor of turbines used in early hydro-electric plants including Niagara and St. Petersburg, Russia; exhibit in Smithsonian Institution, Washington, D.C. Built by Judge Lewis in 1817. Once occupied by Jimmy Stewart family. Open to visitors May 30 to October 15." Up next is a historic Pennsylvania structure that you can only see in this image. This is the Bradford Theatre in Bradford, Pennsylvania (along the northern edge of the state). It opened in 1903 and was razed in 1961 to — I kid you not — put up a parking lot. "The Bradford was for its first couple decades of operation, a venue for live performances, including legitimate theater, musicals, opera, and lectures. In 1922, the theater was taken over by Buffalo, New York-based Shea’s and renamed Shea’s Theatre. 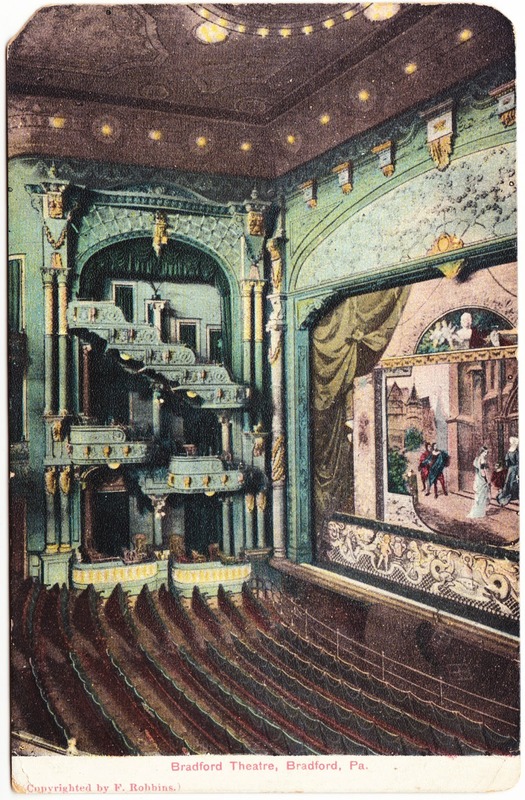 Along with movies, the theater continued to host live acts on stage, including appearances by such stars as Ethel Barrymore, Boris Karloff, Harry Blackstone, Gypsy Rose Lee, and Sally Rand." 1. At the last census, the borough of Smicksburg had a population of 46. 2. I received no monies from the Indiana County Tourist Bureau for that paragraph, but I'm open to them sending me some. I never watched much of Hanna-Barbera's Jonny Quest when I was a kid — I was a fan of their more intellectual fare, such as Yogi Bear, Magilla Gorilla and Scooby-Doo1 — but I was compelled to pick up this book for a quarter when I came across it this week. That cover is just too cool. The author was Horace J. Elias, who wrote books based on many Hanna-Barbera shows, including Scooby Doo in the Haunted House, Huckleberry Hound Puts the Fire Out, Yogi Bear and the Bubble Gum Lions, and — I swear I'm not making this up — Pebbles and Bamm-Bamm and The Witch Who Ran Out Of Jizzle. 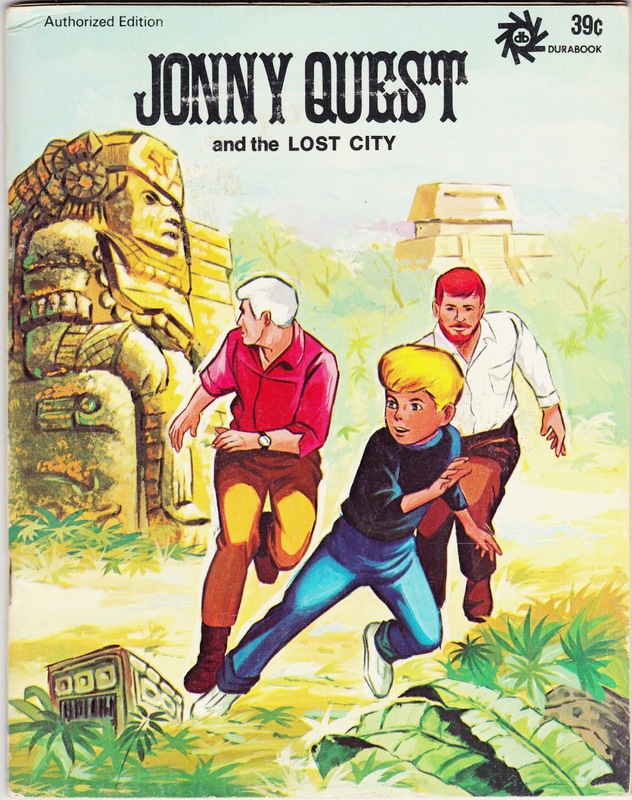 Jonny Quest and the Lost City packs a lot of story into its 24 pages. There's a super-secret laboratory, a Secret Science Center near Washington, experiments with nuclear broadcast power (wut? 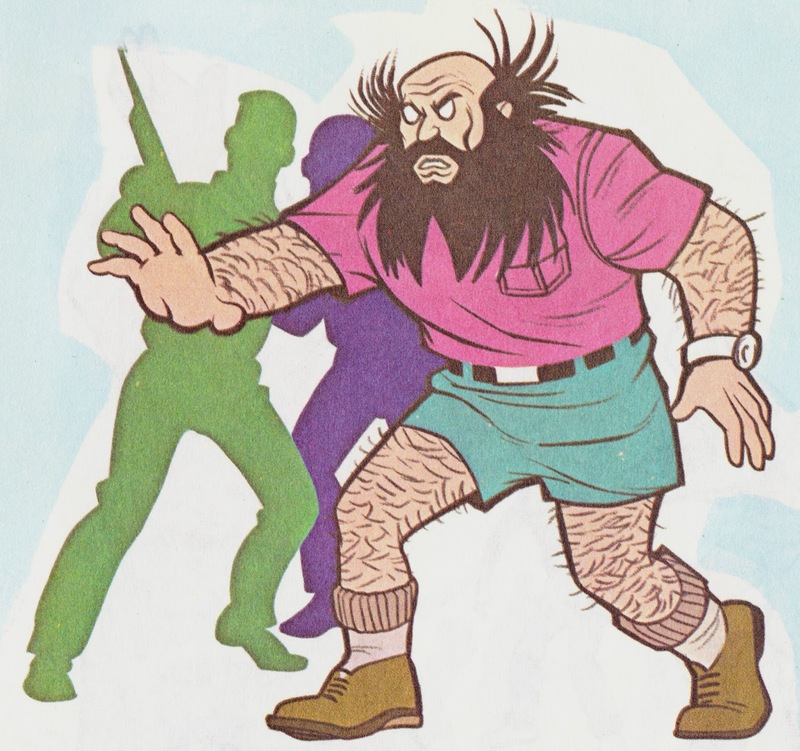 ), a jamming station in northern Mexico, the lost city of Queraxco, a 40-foot statue, machine gunners, and this guy, a villain named Professor Cosmo Null. You'll be happy to know that Cosmo Null does not obtain the secret of nuclear broadcast power. Null is handed over to the Mexican authorities, who hopefully did a better job keeping him behind bars than they did with Joaquín "El Chapo" Guzmán. Also, we can only hope that Null was issued a prison jumpsuit that fully covered his arms and legs. 1. Also, The Funky Phantom. Here's a cheery thing to think about on a Monday morning — taxes! 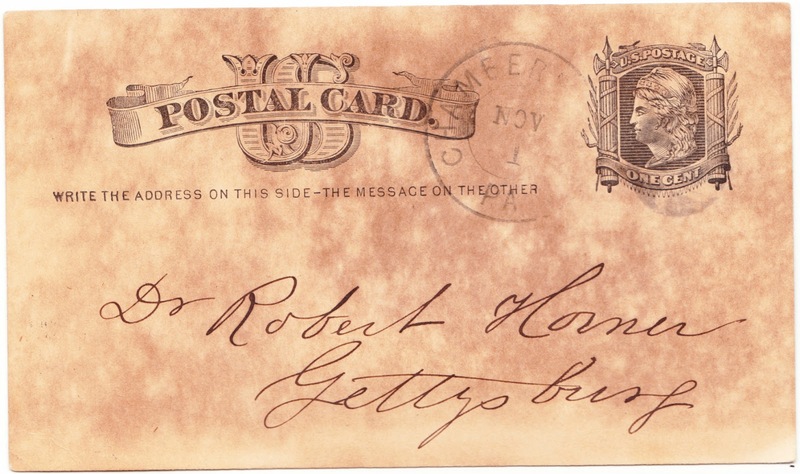 This is a small postcard that was mailed to Dr. Robert Horner of Gettysburg. Horner is being informed by the Franklin County Commissioners' Office that his 1882 taxes for Southampton Township totaled $15.36. It's possible that Horner, who practiced in Gettysburg (Adams County), had an office or secondary property (a farm?) in adjacent Franklin County. A tax bill of $15.36 is the equivalent of about $371 today. The state, meanwhile, also imposed a carriage tax of 1 percent and a tax on "all watches over $20." As we all know, the two certainties in life are death and taxes. 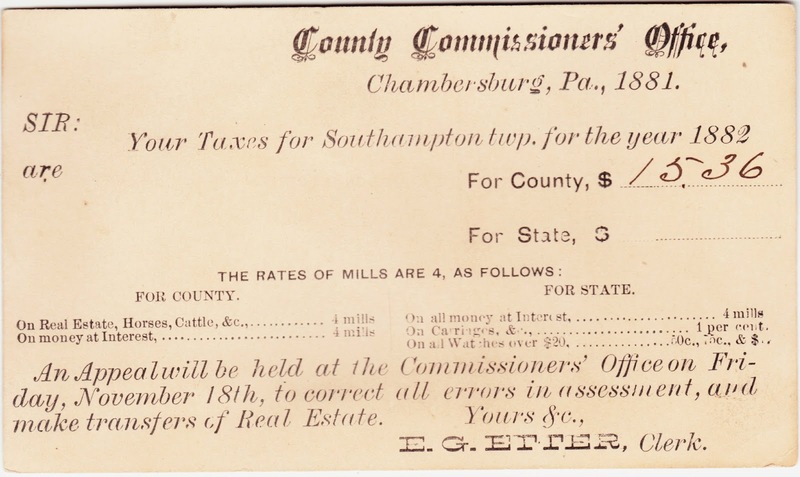 And Dr. Horner, who received this county tax bill more than 130 years ago, is now dead. His life was quite notable. According to his Find A Grave page, he lived from 1825 to 1899. 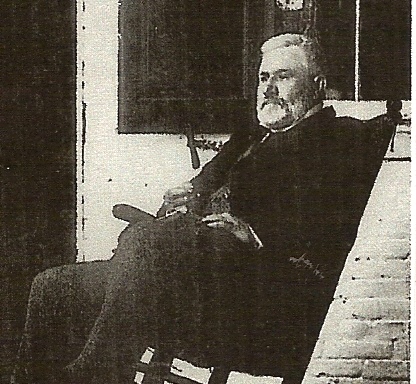 The son of Dr. David Horner, he was born in Gettysburg and received a medical degree from the University of Pennsylvania. He treated wounded soldiers from the Battle of Gettysburg and remained in practice there for many years after the Civil War. He lived on Chambersburg Street in Gettysburg, at a house that Thaddeus Stevens had once also lived in. He died of a stroke on July 3, 1899, the 36th anniversary of the final bloody day of the Battle of Gettysburg. Happy All Saints' Day, Day of the Dead, Samhain, World Vegan Day and National Bison Day! 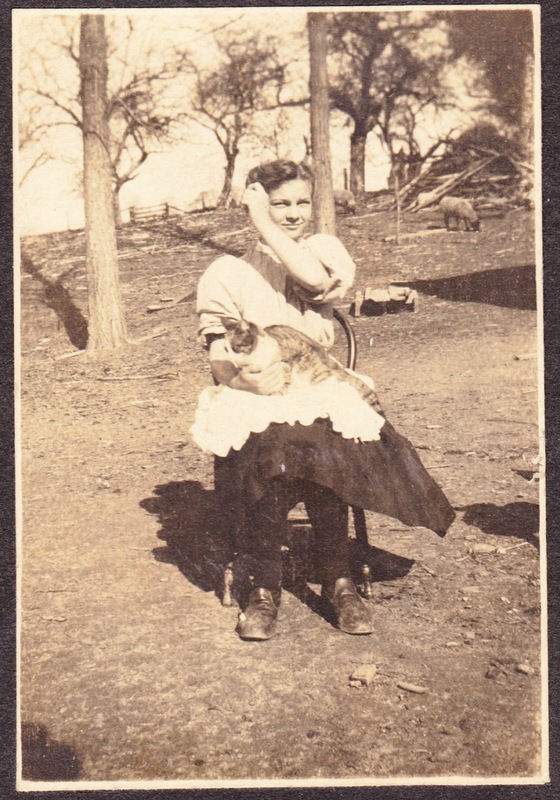 Today we have our second straight piece of ephemera that features a young woman holding a cat. Yesterday's post was an illustration. This one is a vintage photograph. The small photo is mounted on a piece of black cardboard that is 4¼ inches wide and 5¼ inches tall. 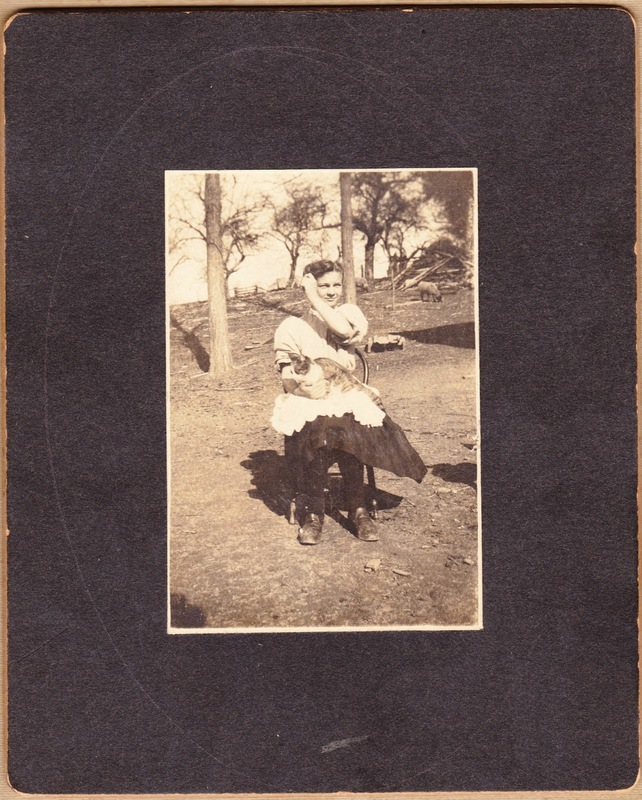 Written in pencil on the back is "To Marguerite From Edith Pyle." The photograph itself is just 2⅛ inches wide and the image of the young woman is just three-quarters of an inch wide, so magnification gives us a better look at the overall scene, which features leafless trees, some fencing and sheep. The cat looks half asleep. I wonder if the original plan was for the subject to have her arm partially in front of her face. (It looks like she might be shading her eyes from the sun.) Or maybe they just went with the moment and got something more natural than a posed look. Of course, plopping a chair in the middle of the yard and sitting in it for a photo already represents a high degree of "posed." The other question, of course: Who is this? The inscription states "To Marguerite From Edith Pyle." Maybe Marguerite is the young woman, and she was given the photograph of herself as a gift. 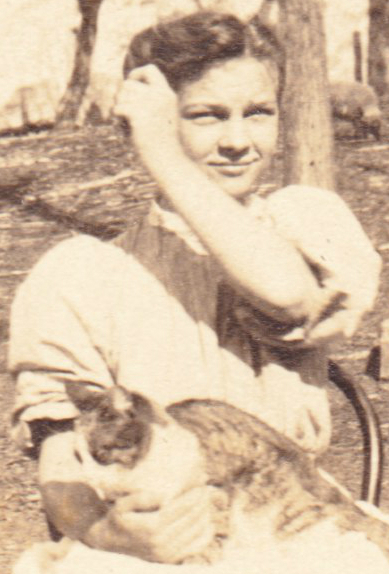 Or maybe Edith Pyle is the young woman and she was giving her picture to Marguerite. Or perhaps neither. Edith Pyle could perhaps be the young woman's mother. So many possibilities. So little chance we ever know for sure.